Nifty opened negative, and saw another day dominated by the Bears with the index unable to move above the previous day’s close for the full session and closed near the lows at 6140.75, a huge loss of 46.50 points. On a week-on-week basis the index lost 166.45 points or around 2.64%. The broader market was also weak, with 552 advances to 801 declines. Best resistance as per OI table is placed at 6300 level. Call option 6100-6300 added 6.48 lacs huge amount of OI with profit booking seen at 6400 and above strike prices. 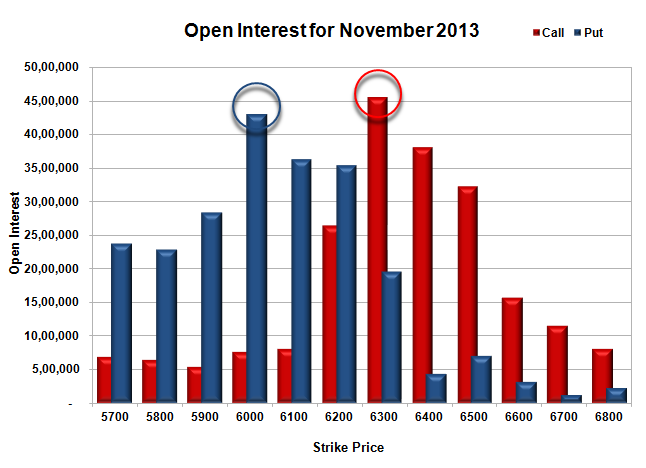 Put option 5800 added 3.00 lacs huge amount of OI with short covering seen at 6200 and above strike prices. 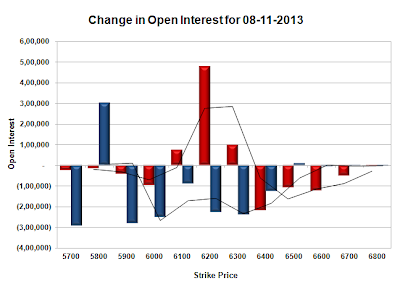 Nifty Open Interest is at 2,03,33,950 down by 5,04,250, with decrease in price, most probably huge long liquidation. Bank Nifty Open Interest is at 16,30,750 down by 1,56,600, with decrease in price, most probably huge long liquidation. FII’s sold huge 17.92 lacs Futures, mostly short build-up, as their net OI increased by 3916 contracts (includes 53912 longs and 89744 shorts for the day) and the average price per contract comes to around 6108.26. FII’s future open contract as on date is 497837. PCR Open Interest (Volume) is down below the danger level of 1.2 to 1.187. 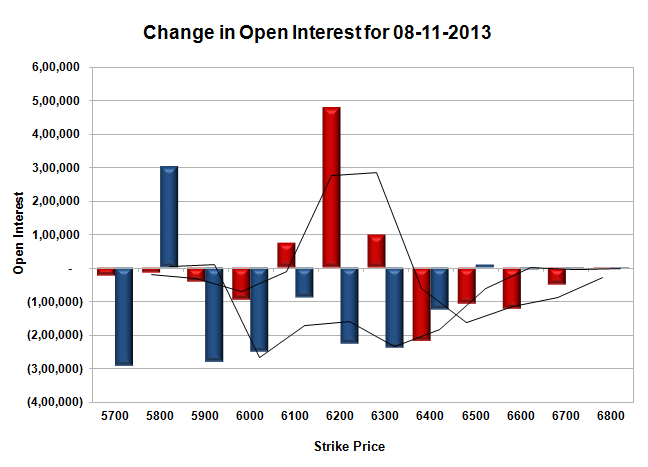 Support now placed at 6100, with huge OI of 36.35 lacs, below that at 6000, with OI of 43.06 lacs. Initial Resistance right now at 6200, with huge addition for the day at 4.76 lacs and above that at 6300, with highest OI of 45.51 lacs. 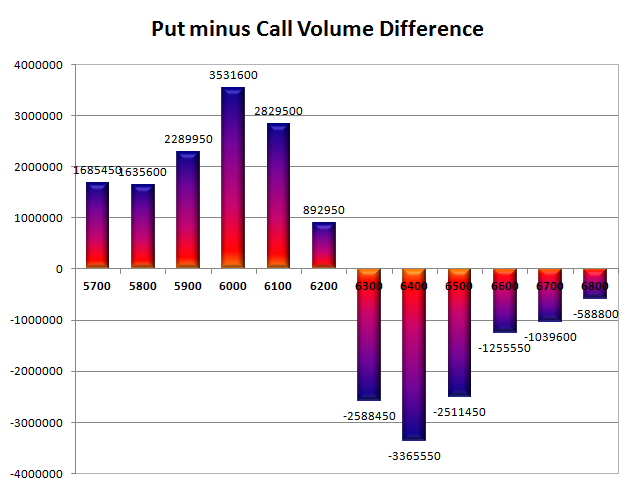 Day Range as per Option Table is 6093 - 6204 and as per VIX is 6078 - 6204 with 6149 as the Pivot.